Draw/mark any where on a page using different colors. Helps huffaz and learners mark their mistakes. Jump directly to Rub, Nisf or Thalatha of a Juz. Remembers last page on exit. Auto-rotate for landscape or portrait mode. Information such as Ruku Number, Waqf Lazim, Rub, Nisf, Thalatha and more on the margin. Assalamu alaykum Masha Allah nice app,I bought Quran Kareem for iPad so this new update will be available to me free or do I have to buy again? InshaAllah the new update will be free for all existing users. This is by far the best Quran app I’ve come across, mashallah. 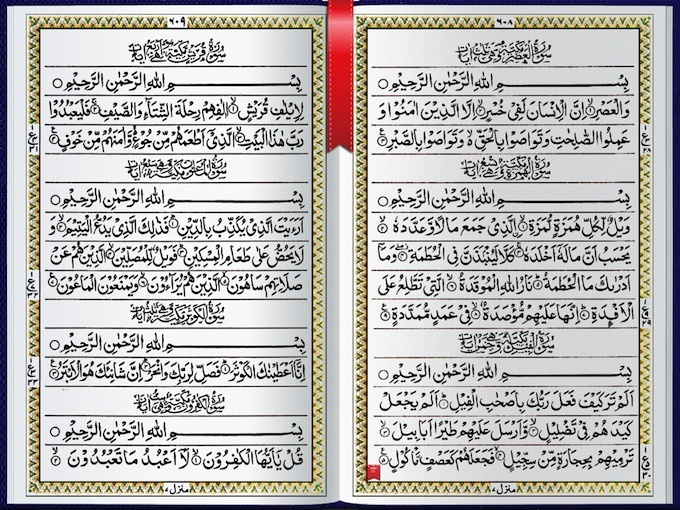 I have both the Quran kareem for iPhone and iPad. Just want to know when the iPad Quran kareem will be available. The new iPad version (version 3) is still waiting for review by Apple. InshaAllah it will be available for you as a free upgrade once it is approved by Apple. JizakAllah Khairan. I have downloaded Quran Kareem on. Oth my I phone & I pad, but on the I pad it does not have audio playback. Why is this? The new iPad version (version 3) that has the audio playback is still waiting for review by Apple. InshaAllah it will be available for you as a free upgrade once it is approved by Apple. JizakAllah Khairan. 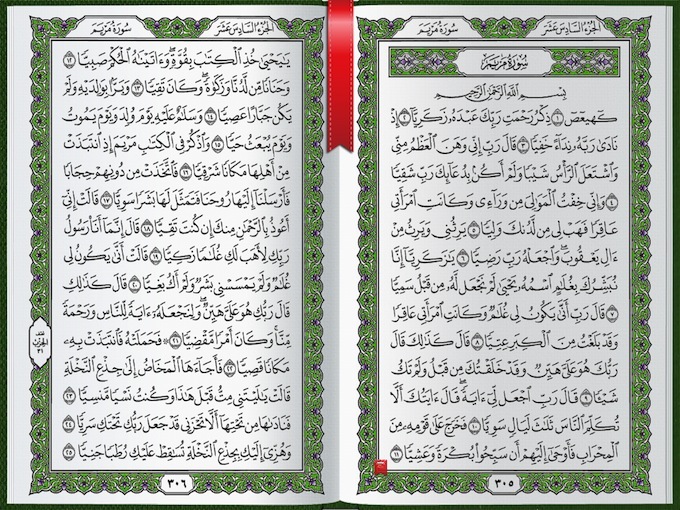 I was able to see online, your Quran Hakeem for iPad and it seems interesting to me. 1. Are the recitation by the four quraa available offline or one must to be connected to the internet before one can listen to the recitation? Is it by internet streaming or offline? I think 500MB+ should be offline anyway. 2. Kindly mention these Quraa. Who are the Quraa? Is it Sudays, Husari, Hudhayfi, Minshawi, Mishari, Ajami or the likes? Kindly let us know the Quraa who recited in your QURAN HAKEEM APP FOR IPAD. We think the question is worth it before we place our dollars on the app. 1. The audio will not stream and will be downloaded the first time you will play a surah. Also, there is an option to delete the audio files if you would wish to clear up space on your device. 2. The four reciters are Shaykh Abu Bakar As-Shatri, Shaykh Saud As-Shuraim, Shaykh Muhammed Ayyub and Shaykh Khalil Al-Hussary. We have updated the webpage with these reicters. JizakAllah Khairan and Ramadan Kareem. I purchased the Quran Kareem app for iPad a few months ago, i played the Quran audio yesterday and it was working perfectly and today all of a sudden when I click the play button a message comes up saying I need to upgrade the app when I’ve checked on the AppStore and their is no upgrade. I decided to delete the app and try to re-install it but once I deleted it I had to pay to re-install the app again. Now that I’ve payed for the app I’m having exactly the same problem as before and when I click the play button it says ‘please update to the latest version of this app to use this feature’ when there is no upgrade on the AppStore for the App. This issue has been fixed. If you now try to play the audio, it will play inshaAllah. Are you going to support the colour coded version of the script? Tajweed? for Quran Kareem? Tafseer by ibn Kathir? Hadith’s? Dr Mushin Khan? Transliteration? iPhone App? So far this App looks very good Mashallah, just wondering what other improvements you had in mind?